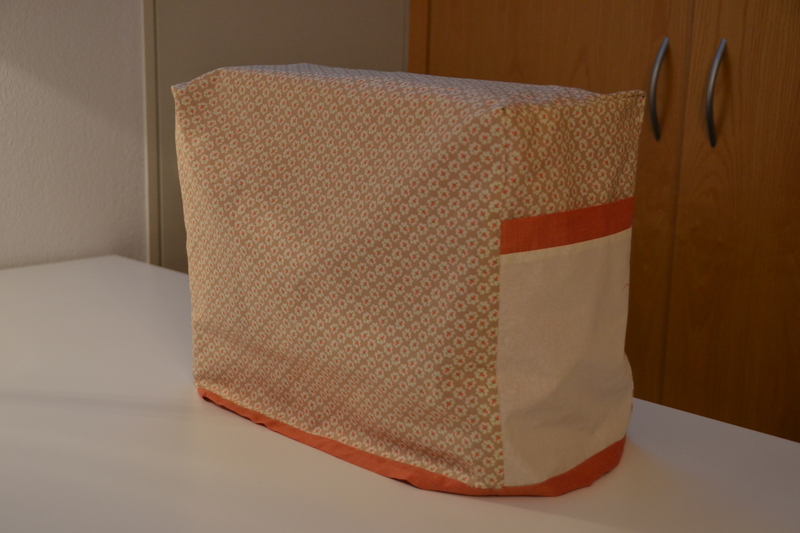 As promised in my last post ” Adventures with Charm Packs, it is time to reveal my new sewing machine cover. Months ago when I began my search for a sewing machine cover tutorial on Pinterest, it became clear that there were many different ways you could ‘dress up’ your sewing machine. However, to find a free pattern and tutorial that was easy for a beginner sewer (like me) to follow was way more difficult. After giving up on the idea of making a quilted sewing machine cover I decided on this pattern from the Strawberry Patches Quilt Shop’s blog (Notes from the Patch) which you can find here. This tutorial was excellent, including clear photos for practically each step ,as well as a detailed written description. 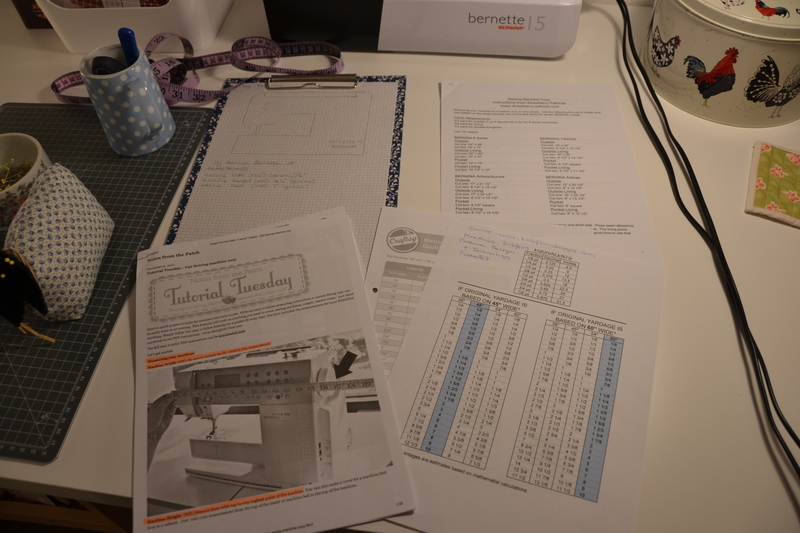 What was particularly helpful, was the PDF, that they included with the tutorial, with the written instructions as well as the different fabric requirements for 5 Bernina Sewing Machines, that they sell at their store.If like me, you didn’t have one of those sewing machines, they gave you a clear formula for how to work out the fabric requirements for your own sewing machine. Together with the Strawberry Patches tutorial and this you tube video from Vanessa at The Crafty Gemini blog which you can see here, I did manage to finally finish my cover. I must say I was practically dancing when I finally finished it, I was so proud of myself, I had never made any thing as complicated as that, with corners and a lining and a pocket. Did I tell you how much I love the pocket!! After storing my foot pedal in a small plastic bag ever since I bought it, it is great to have a special pocket to put it, together with the machine. Unfortunately, I think I was a bit too generous with my measurements (maybe an inch too much on each side) and so the cover is a little baggy, but this isn’t noticed so much once the foot pedal is in the pocket. 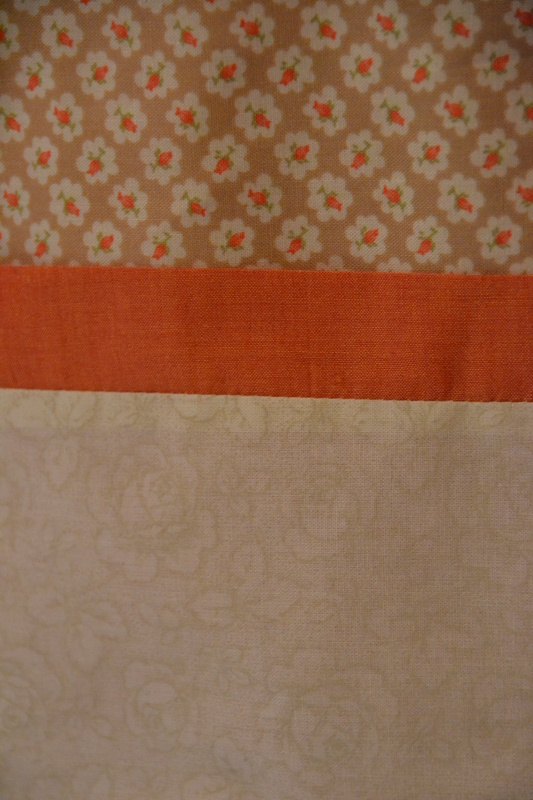 “La Vie en Rose” , from Westfalen fabrics (this is the creamy/gold rose fabric) . Sorry no idea what that lovely coral fabic is called!! If you would like to make a sewing machine cover for your sewing machine, pinterest is an excellent source for ideas and tutorials. You can see my pinterest board on sewing machine covers here. 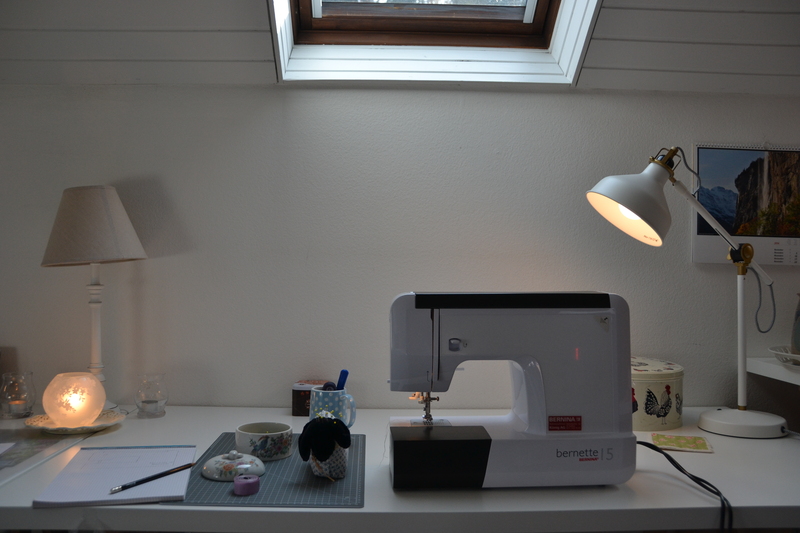 If you have made your own sewing machine cover I would love to see a picture of it! It looks great Jodie! How satisfying for you – finished, gorgeous AND practical! Thanks Meredithe, yes, just got to get a few other projects finished before Christmas!